We visited the Child Survival Program on Monday, September 14. 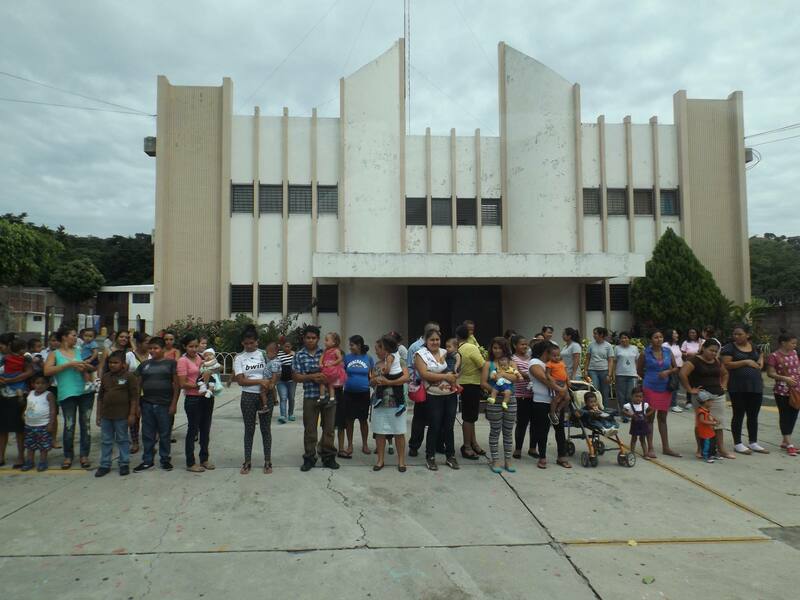 Again, we received a warm welcome by the women and babies, some daddies and the staff of Amiguitos del Rey (King’s Little Friends) Student Center. It surprised me how much the people at Casa del Pan ES952 seemed to be so happy to receive us into their work and lives. Their hospitality was warm and I am blessed to have made some wonderful friends. Once inside the newly constructed building, we were seated in folding chairs in a large open corridor There we were welcomed by Madame FixIt and her talented actresses. It was very delightful to see the humorous skit these ladies presented to us. Laughter is a wonderful ingredient to life. 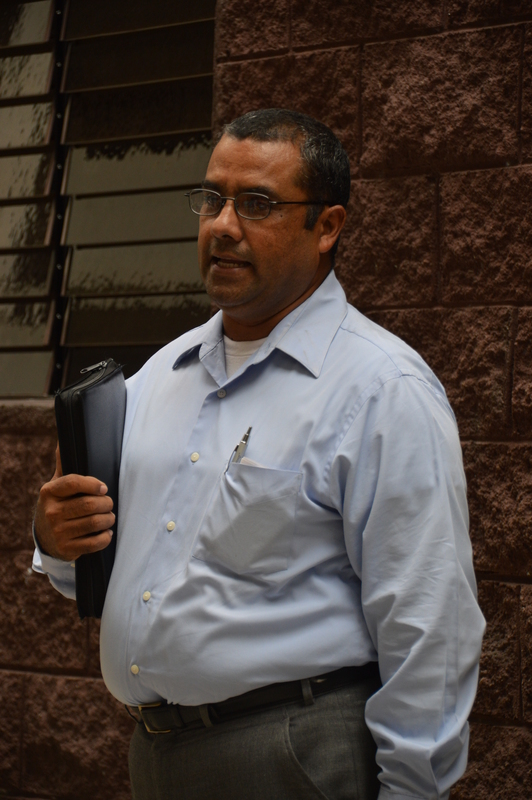 Pastor Oscar then greeted us, and shared from Ephesians 2. This is the same passage Pastor Carlos had preached from. Each man delivered a message of encouragement and Gospel good news to visitors, staff, and mothers. During this time young children made themselves known to us, one of them slipped away from his momma and wandered around. Others just worked to get our attention from the comfort of their momma’s arms. After the skit and the message we were invited to tour the center. This center is part of a church that has been in the community for a long time. Compassion International partners with the church, but the congregation truly “owns” the ministry. When the ministry of the church and the student center outgrew their original facility, the church raised funds and built the student center. This newly constructed building we were touring was funded by the congregation of the church. This is one of the significant things that stood out to me during out trip. Here on the stateside “sponsor” side of the ministry we see COMPASSION on all of our correspondence and communication. 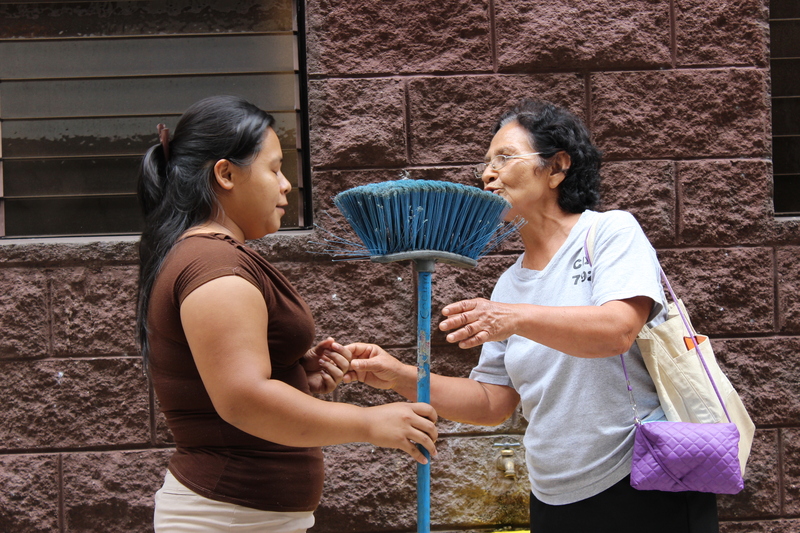 In the neighborhoods where Compassion works around the world they see THE CHURCH. Another thing that I saw, that I really loved and respected is that as this church grew and prospered, they did not LEAVE. They have stayed in the very rough neighborhood where they started. I believe this has a significant impact on the community. On the tour we were able to see workshops, classrooms, record keeping and the early stimulation room. Our dear Lynn had the opportunity to share with the moms in the early stimulation room some fantastic ways to nurture and comfort their babies through gentle reflexology. In a few letters from our sponsored children I have read about workshops, but didn’t have a good idea what the kids were telling me. Now I have seen the workshops and am so excited about the opportunities that children and mothers are receiving. Child Survival Program Centers are designed to do just what the name states, to help children survive, specifically, to their 5th birthday. Women who are pregnant may enroll in the the program and receive assistance, education on caring for herself, caring for her baby and learning how to stimulate the child’s healthy development. 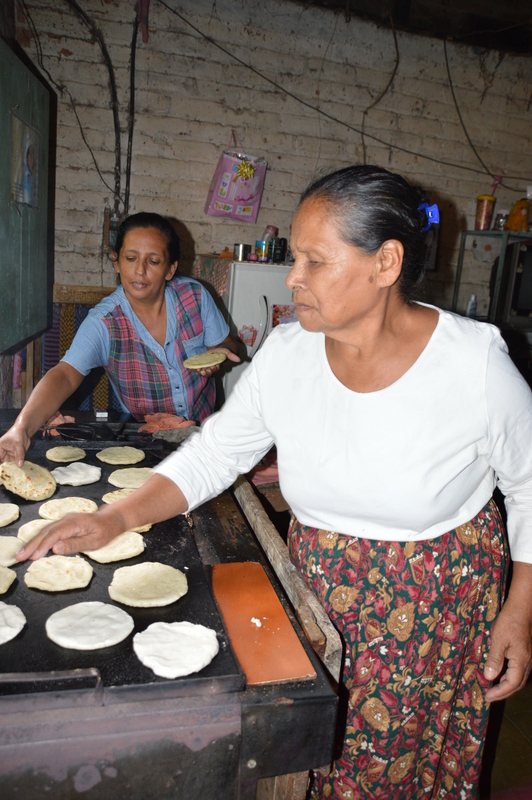 The women receive medical care and opportunities to learn how to earn an honest and wholesome income. 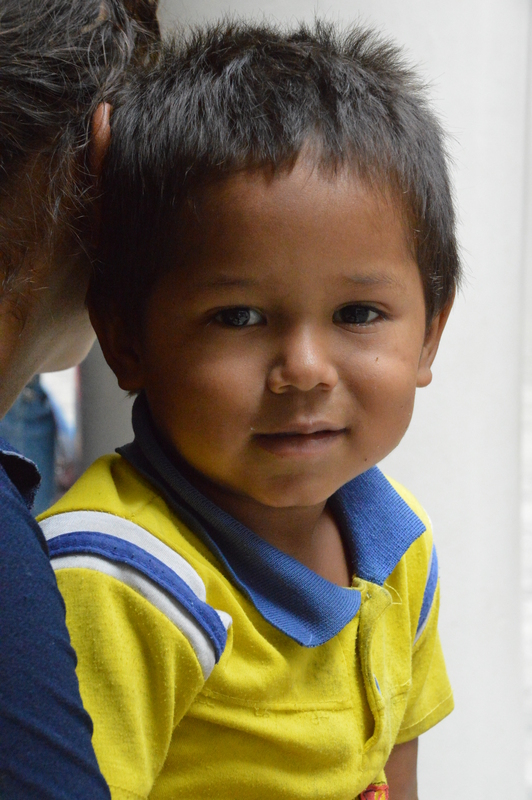 Once their babies are three years old, the child can then be enrolled into the sponsorship program. 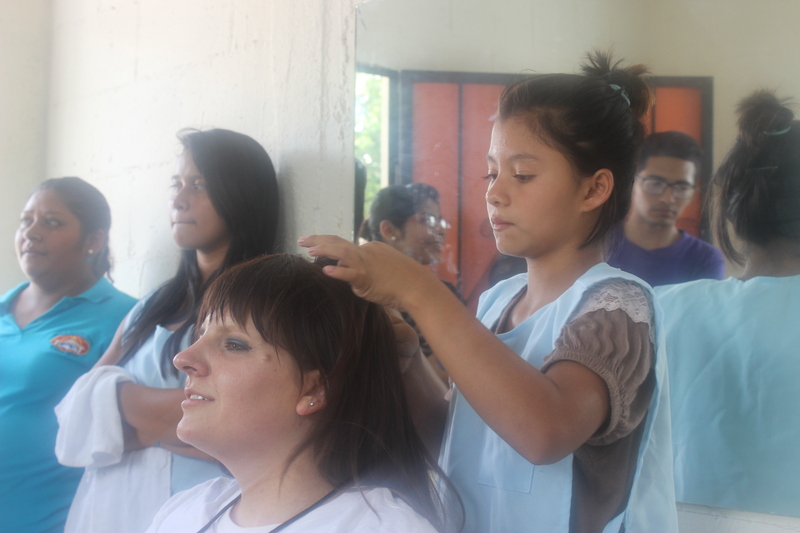 While we were in El Salvador we met women who have learned from the baking and cosmetology workshops and are using their skills to earn money to help support their families. We met women who had received micro loans to start business and witnessed the joy and determination to build upon what had been given. In all of this, each woman and each child is taught of the precious love and sacrifice of Christ. The Gospel is taught and lived out, and every person has the opportunity to choose the gift of salvation in Jesus Christ. The good and effective work of Compassion International and the local churches they partner with is making a difference in the lives of children, families and a difference in communities. Please consider joining and contribute to this work. 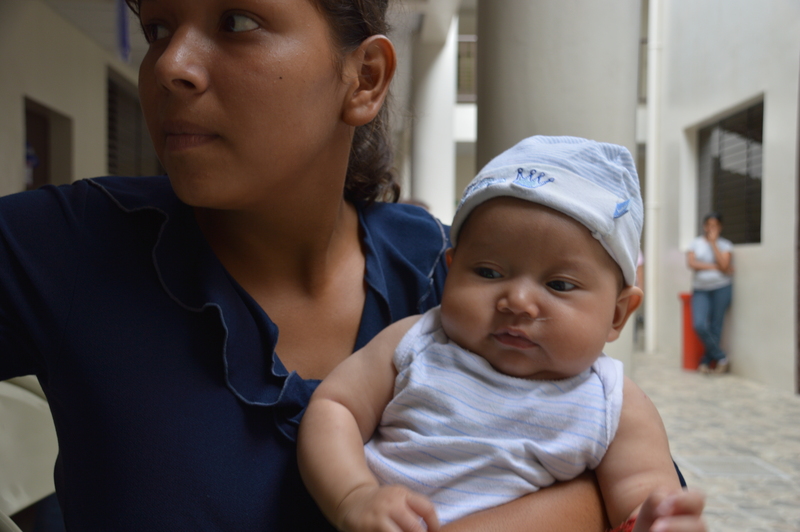 With just a $20 monthly donation, moms and babies receive life-giving support through the Child Survival Center. September 12 through 17 2015, my 14 year old daughter and I joined 28 other women for an El Salvador Women’s Vision Trip through Compassion International. The theme of preparing for this trip has been, Open the Eyes of My Heart Lord, I want to see You. This blog series shares what we saw, what we heard and how we saw God at work during this time.